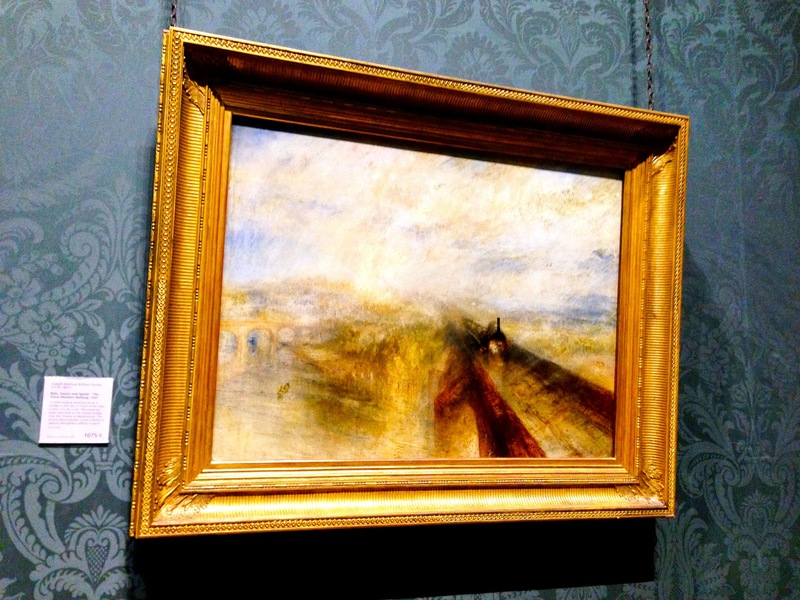 With Mike Leigh's Mr Turner released on Friday, you may be hearing more than usual about Joseph Mallord William Turner this week, so it seemed fitting to examine one of his paintings, and 1844 view of the Great Western Railway viewed from Maidenhead railway bridge and titled 'Rain, Steam and Speed – The Great Western Railway'. The work was painted just six years after Isambard Kingdom Brunel completed the bridge from which it was painted, and the age before such technology was still fresh. Whilst the steam engine dominates the scene, the sky above takes up half the canvas, whilst the sleepy river below is also visible, and those who look closely may even notice a hare running in front of the train. It is often suggested that perhaps Turner meant these elements to combine to remind us of the limits of technology.